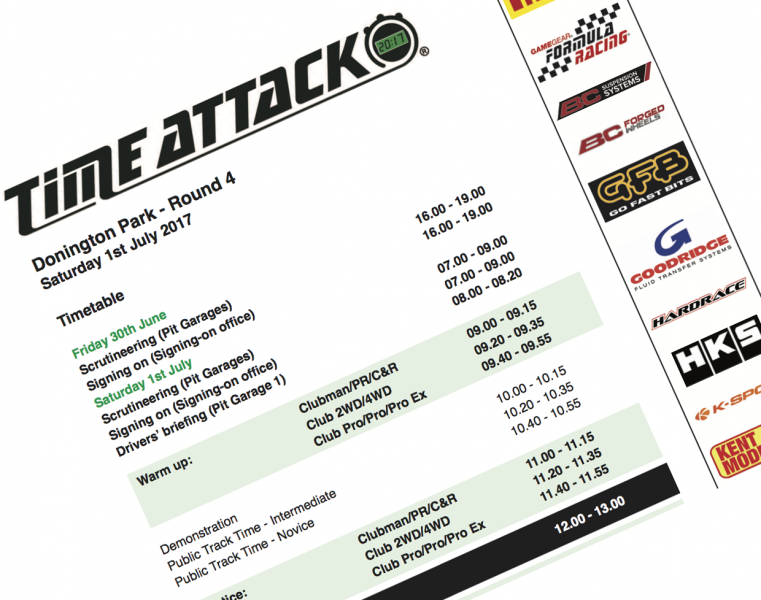 Donington Event Time Table - Time Attack® - It's not racing... It's Time Attack!! 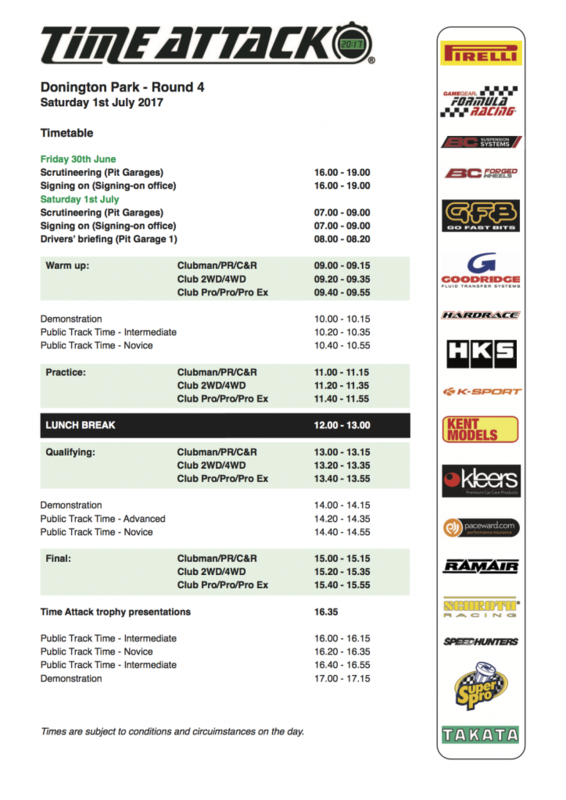 Please find the confirmed event timetable for Donington this Saturday. If you are planning to join us and need tickets, please advance ticketing has now closed and all tickets are now only available on the gate. Please note that during the event we will have our live timing service running, where you can keep up to date with all the cars and times during the event on your mobile, tablet or PC, whether at the track or home. In addition, we also have Time Attack Radio, where you can listen to the live commentary feed from the track as well as watching the live times. We will share the links to these functions on the morning of the event. We look forward to welcoming you to Time Attack.